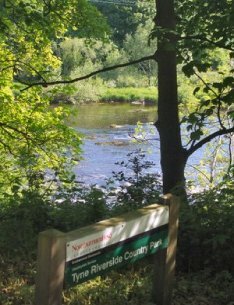 Tyne Riverside Country Park lies adjacent to the Keelman’s Lodge and Pub and covers about 60 hectares, and features a riverside picnic area, an equipped children’s play area, a visitor centre and toilets, which are open daily between 9am and 5pm throughout the summer, and most days during the winter. There are miles of footpaths and bridle ways that allow you to explore the park on foot, bike or horseback. The landscape features agricultural land, woodland, grasslands and a large pond, the Reigh (pronounced Reeth). This pond, and the woodland beside it, are managed by Newcastle City Council as a nature reserve, and provide a home for many creatures, such as red squirrels and kingfishers. The river views are very pleasant at any time of year. The Wylam Waggon way, which runs parallel to the riverside footpath, is a popular way for cyclists to explore the Tyne Valley. As much of the area near the river is flat with surfaced paths, access for wheelchair users is quite good. The Rangers can give more detailed advice on suitable routes. Only a short walk along the beautiful cycle way running from right outside the Keelman’s lodge to Wylam. 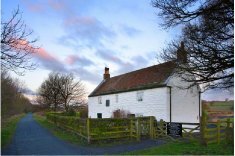 The costumed guide tells the story of how challenging life was for mining families, like George’s, that once crammed into this now charming little stone cottage, nestled in a pretty garden near the river Tyne. For more information please visit the National Trust Website or Wikipedia page. Continuously occupied for over nine centuries it was originally the home of the Umfravilles but was eventually taken over by the famous Percy family who restored it. 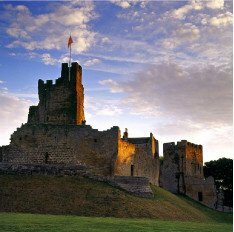 Surviving two sieges during the 1170’s , Prudhoe was the only Northumberland castle to resist the Scots. Visit the family-friendly exhibition to find out all about these developments and more about this long-lived fortress. Have a picnic and take in the surroundings, browse in the shop or explore the keep, great hall and towered walls enclosing a fine Georgian mansion. For more information please visit the English Heritage website. 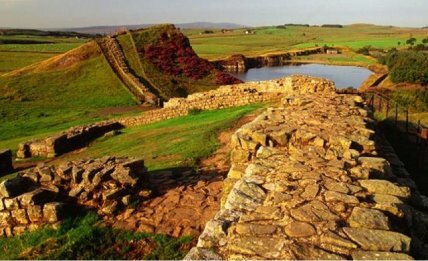 With the Keelman situated right along Hadrian’s Cycle way and National Trail, there is a wealth of historic Roman sites to visit close-by. 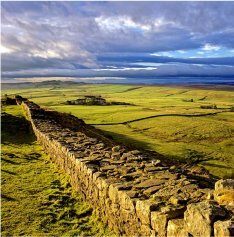 Unlike many other historic places, Hadrian’s Wall Country has something for everyone – world class archaeology, spectacular landscapes, rare wildlife, complete solitude, vibrant cities, wonderful pubs and a population of friendly and welcoming people. Explore the stunning landscape of the World Heritage Site on foot, or cycle at your own ease or accompanied by one of our recommended itineraries and take in the fantastic atmosphere of the bustling cities, market towns and quaint villages you will find along the way. For more information please visit the Hadrian’s Wall Website.